I had this huge smile on my face, big enough to hide an avalanche of pain underneath. The smile was legit. I swear it. 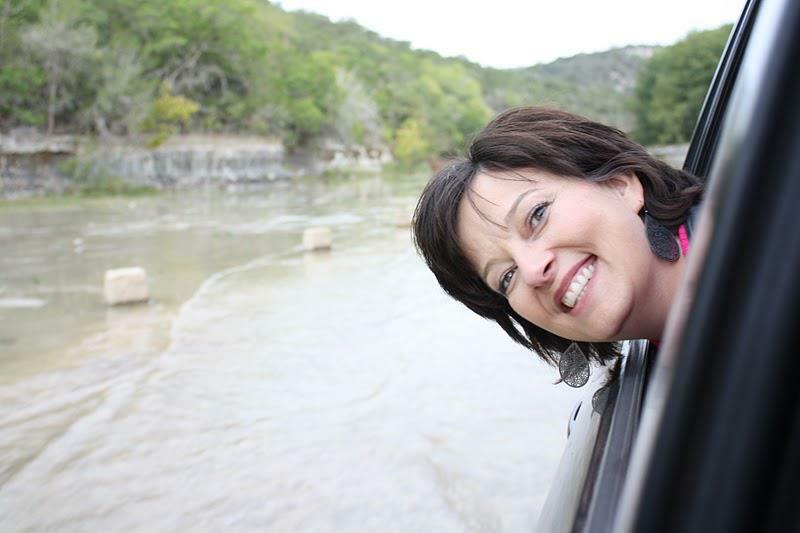 I still remember how happy I was to be making my inaugural journey to the Laity Lodge retreat center in Texas. My joy was genuine. I had forged friendships online with writers in Canada and Indiana and Nebraska and West Virginia, and now we’d be together for the first time ever. It was the fall of 2010. 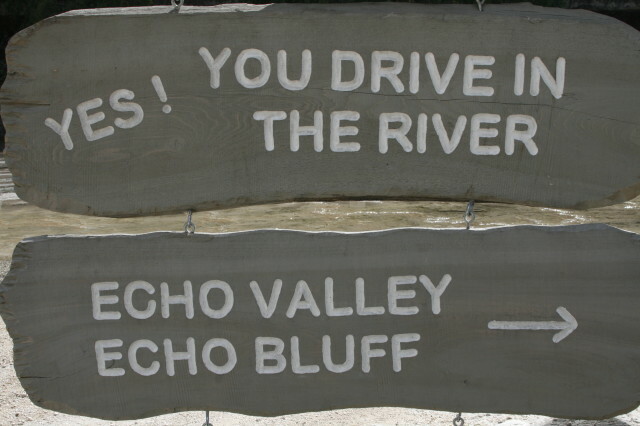 When that picture was taken, we were driving in the river. Yes, in it. 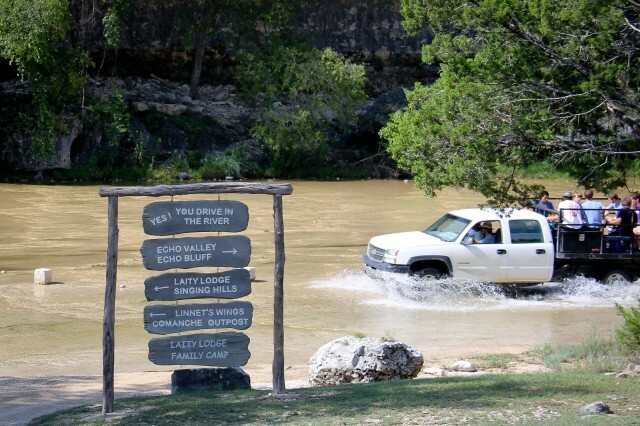 That’s the only way in to Laity Lodge — through the river. And it was ridiculously fun. So, yeah, my smile stretched wide and real. But the smile didn’t tell the whole story. Underneath, there were layers of heartache, loss, and stress. My smile cloaked grief, dangling from the architecture of my heart. The smile also didn’t reveal how a treasured friend had begun to drift, or how a conflict in ministry was causing us great heartache. So I took both my heartache and my smile to Laity Lodge that year, but I took great care in which part I’d reveal. But then Ashley started singing. 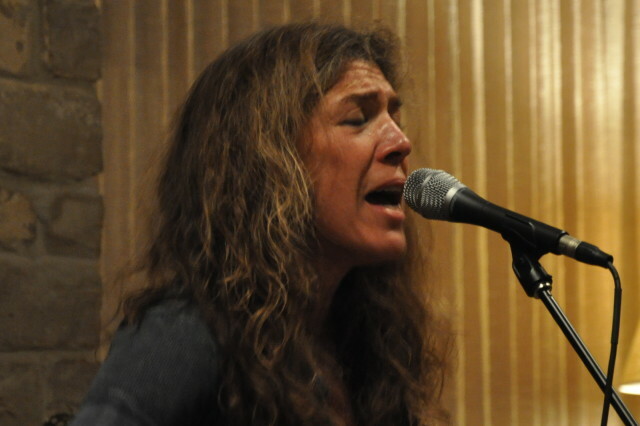 She sang hymns, smoky and soulful. This was the voice of a woman who’d felt pain and gone hunting for peace, to find it. Her voice came at me like a freight train, or a freedom train — I didn’t know which yet. I sank deeper into the couch, while her songs opened me up. I felt raw, excavated, and vulnerable. I also felt a nearness to Jesus. In some way, I could see the hem of His garment, as he picked up the gazillion shattered pieces of my heart, like so many bread crumbs. My reluctant heart went fluid, straight out my eyes. I came unhinged. It was messy, except for the fact that Jesus was in the room, so that made it beautiful. I could feel him close, like a fire inside of me. Like I’d been busted open by the Gospel. Ashley sat down next to me on the couch after her last song. And she didn’t act like she knew what a happy wreck I was. Not at first. So I thought I’d gotten away with something. But then she turned toward me. Her eyes studied mine. “The Holy Spirit,” she said, unblinking and matter-of-fact, like she was a doctor delivering the best possible diagnosis. I was never happier to be found out, to be affirmed in my vulnerability, and to hear confirming words that God was at work, even in me. I was a mess, but I was a holy mess. 2) Eyes that had been crying. My heart had burned. I had let myself be true. I felt held. I felt attended to by Jesus. Maybe it’s the way those travelers felt on their way to Emmaus. They were dejected and downtrodden, but then another traveler joined him. They didn’t know it yet, but that traveler was Jesus. 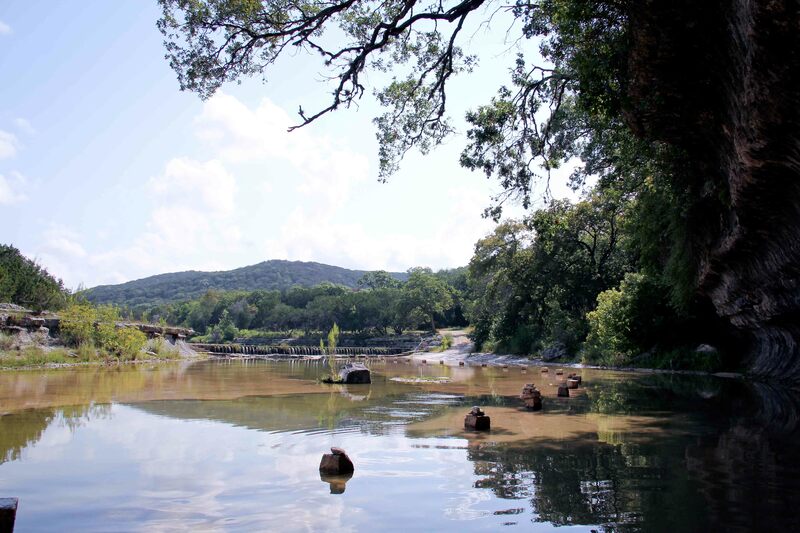 I had come to Jesus, by way of a river. They had come to Jesus, by way of a dusty road. We both found the Holy Spirit when we got to where we were going. Look — We’re all busted up. We’re all dealing with something. But He’s got a table, and a loaf, and a seat for you. Put your hand against your chest, and feel it — your heart, beating. We all have heartache. And Jesus wants to trade it for His heartburn. Jesus … Jesus … Jesus. Some of us have been walking a dusty road, and life has been plain hard. 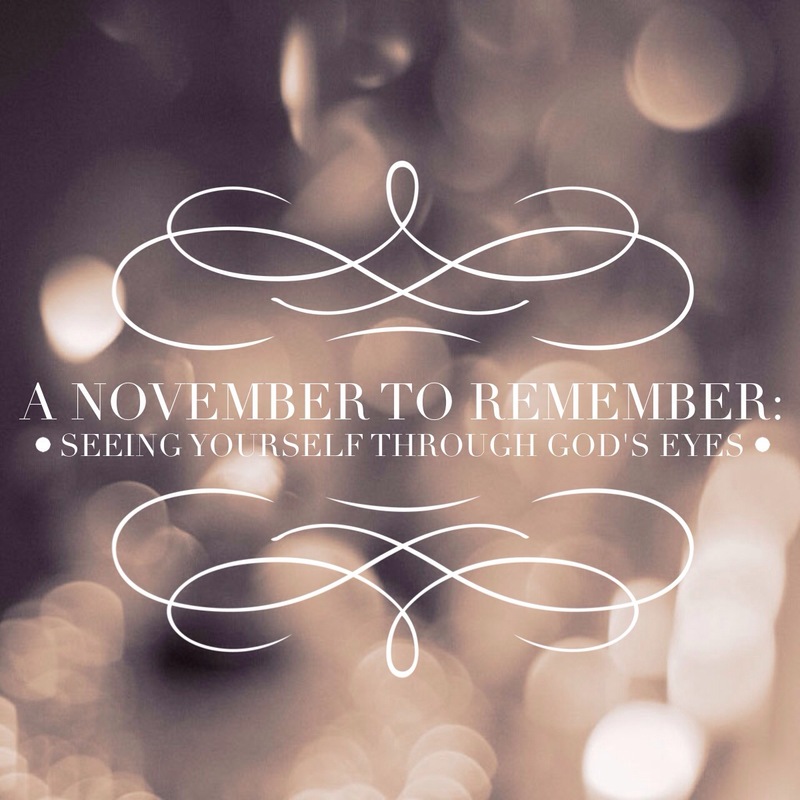 This post is part of our month-long series, “A November to Remember: Seeing Yourself Through God’s Eyes. 1 – Print out the Scripture sheets. (Click here for printable versions.) Each of the 30 daily Scriptures are quoted in Love Idol, and each one ties back in some way to our identity in Christ. (You don’t have to read the book to participate in this study. But of course, you’re welcome to! 2 – Find the passage assigned for today’s date. 3 – Consider how God is speaking to you. How does the verse help you remember who you really are, outside of all the cultural noise? 4 – Visit us on the blog, or the Love Idol movement page on Facebook, to share what the verse means to you. I’ll post my own response here on the blog every morning at 5 a.m. Sometimes, you’ll find a story, maybe a few short words, maybe a series of photos. That will happen every day, for all of November, God-willing. If you want to follow along, visit us here every day. Consider subscribing to my blog by clicking here to get these reflections in your email inbox. Let this be the November that we remember who we really are: Loved. Preapproved. His. Your words stir a holy desire within me to experience a heart burn, a deeper connection with the Lord. This year will my first time of sojourning to Laity Lodge and I’m so looking forward it! See you there? I’m so excited to see you there, Caryn. Thrilled that you’re coming! See you soon! I love this! So much. Now this is the kind of heartburn I want to have!! Chronic, holy heartburn. Thank you for these words, they are just perfect, just what I needed. May there by some holy heartburn happenin’ down in Laity Lodge! That sounds awesome. Thanks, Prasanta! It would be a joy to have you join us some year! I love this post, Jennifer! I know exactly how you can have such a beautiful, beaming, joyful smile on your face while your heart aches inside. It is the joy of the Lord in you! It is wonderful when our hearts can feel both utterly broken and yet full of His love and life. Thank you for this beautiful reminder. Today was a difficult day for me – one that broke my heart just a little. That being said, I felt the presence of the Holy Spirit and there was a comfort there beyond explanation. We serve a wonderful God! 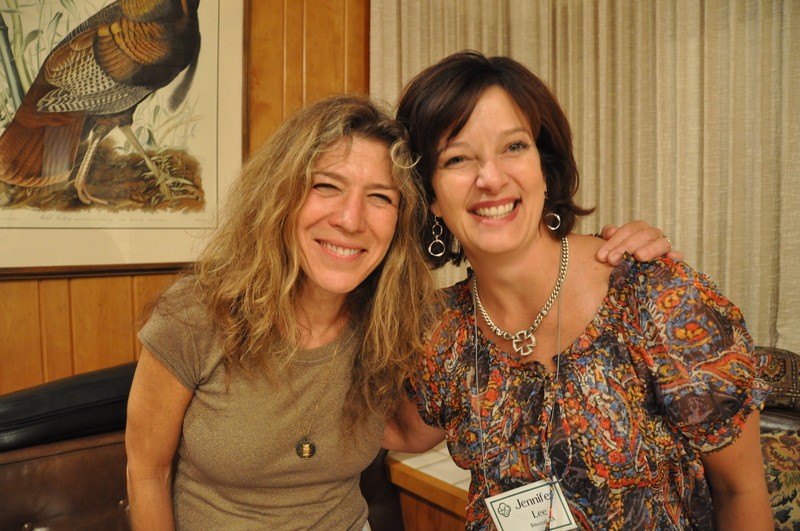 Thank you so much, Jennifer, for caring and for praying for me. What a beautiful example you are of Christ in us! I can’t tell you how much this means to me. I’m pleased to report that my situation is not only resolved, but God was glorified in it. Thank you, again. After I read the scripture passage for today and wrote in my journal, I could. not. wait. to get here and see what you wrote about the verse. 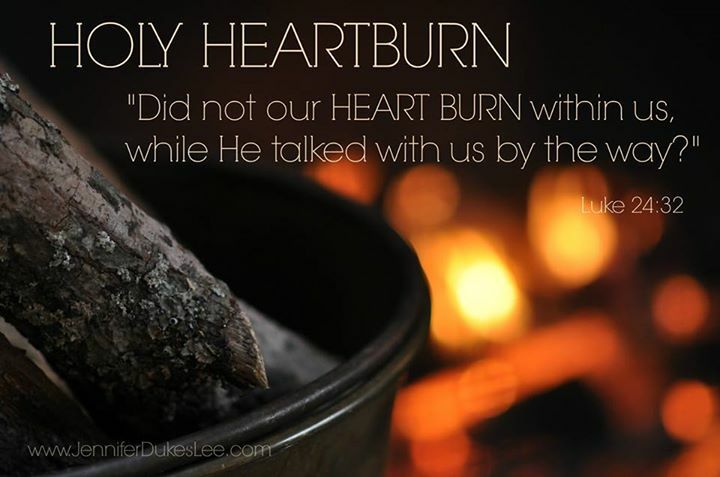 A holy heartburn…yes! That is my desire and yet, sometimes I hold back and will not let go. This series? Some days I think it was designed just for me. Thank you, Jennifer for being faithful and writing it. Grateful for you, Megan. You will be greatly missed this year. Jennifer, this is beautiful & spoke to me for several reasons. I don’t even know how to give the short reason 🙂 so I will just say this – I am so grateful our God trades heartache for heartburn. His love for us is so fierce that He does not leave us in our heartache. This morning, yeah, deeply grateful for some heartburn! And grateful for this post. Bless you! Thanks for baring your heart to my heart today, Jennifer. The Holy Spirit got you too, eh? So beautiful, Jennifer. I’m grateful for the ways you share your vulnerability. And I’m grateful for your genuine smile! And I do believe I took that picture at the top of the page! I well remember that day, leaning out the window and smiling back at you. I love you, dear sister. You DID take that picture! It was a sweet moment. And the smile was real, my friend. How could it not be, with us sillies hanging our heads out the window? … 🙂 … But there was a lot of hurt underneath. Love you, too. See you soon. This touched a cord of remembering in my heart, of a retreat and a spirit filled room where women were bowed and tears of love poured out. Thank you for filling in those missing memories we forget about and the beauty that spills out in their passing. You have a beautiful smile, Jennifer. Blessings to you. I am so glad… His love always comes finds us!!!!! I’ll check the song out. I love Needtobreathe. Thanks, Ro. Jennifer, maybe next year in Zion? (or in Kerrville?) I’m determined to get there to hug you and my other invisible friends in person. Loved the balm of these words and the healing they shared. Love you. ahhh. things are tough around the ole ranchola in november, making it hard to be gone. i shall try not to covet. i shall try. AND i shall rejoice in the joy you all share in-person. pass around some hugs for me? I love you! I love the Holy Spirit and how He is just so smart and gentle in how He undoes us, only to hold us up and put us back together – sometimes in one swooping motion, other times in slow steady stitches. And the Road to Emmaus? One of my favorites… but I always say that, I know! I wrote a play and me and a team of ragamuffins led a Road to Emmaus weekend for a church up in the mountains in the mid 90s… my favorite part of that story – of that weekend, is when we realize that Jesus has been with us all the while! I love you, too, Karrilee. Also, I love Road to Emmaus weekends. Scott and I have been very involved with those here in our are, though by a different name. I’ve felt that way Jennifer. A holy hot mess, slamming doors, screaming at heaven, hurting and heavy…and to the world – a smile. I love the people God sends to see through my act with simple words. Like the singer shared with you, “it’s the Holy Spirit”. Thank you for reminding me He’s in the middle of my mess. Always. Can’t wait to get to Laity Lodge next week. Looking forward to spending some time with you there, in the presence of the Holy Spirit. See you soon. I remember that same weekend. I was there and hadn’t had a single day in over a year where I had not broken down. I was a mess . the shame of a wife who had taken the prodigals path and left me -/never to return. The hurt . the sorrow . the sadness. They bore down on me every single night. But Ashley had come from her own brokenness but she sang of a new life like I had never heard before. Yes. I was heartbroken. But here I am. Four years later. Burning. I remember well. I think a lot of us were pretty broken up on the inside that year. It was such a tender time, and this was the first time we’d all been together — or most of us, anyway. I thought of you, David, when I wrote this piece. I had seen this photo on FB, but had not read the story behind the river or your smile. I had seen that right. You DID drive through a river, straight into baptism, straight into living water, straight into the depths of God! So beautiful, Jennifer. I hope I can go there someday. It just looks holy. Your post touched my heart. You bless me with your honesty and transparency. (You’re the real deal, Jennifer!) As a pastor’s wife I’ve all too often put on a happy face over my pain. The Holy Spirit, however, hunts me down in His relentless love and healing. Oh Jennifer. After talked yesterday I had to come find this post…*trembling* I’m aching for Jesus. I know this will be a blessed weekend.